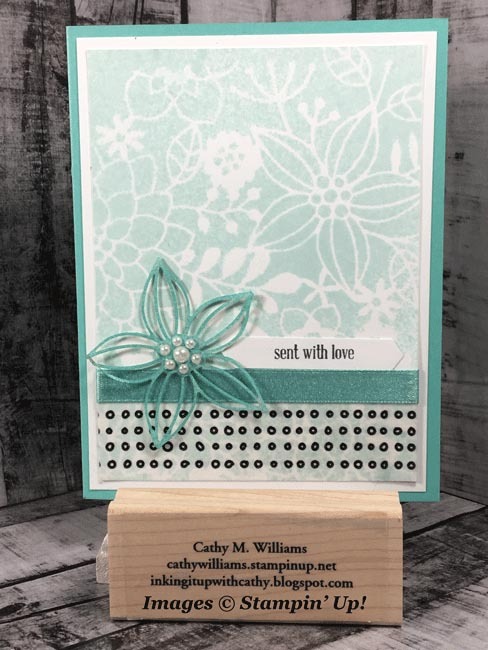 I recently held a class where we used the Delightfully Detailed Designer Series Paper and I had so much fun making cards with this paper that all of a sudden I realized I already had 9 projects! Since I didn't want my attendees to be here until midnight, I had to cut it down to 5 projects that they would create and then show them 4 other projects that they could make with the paper. 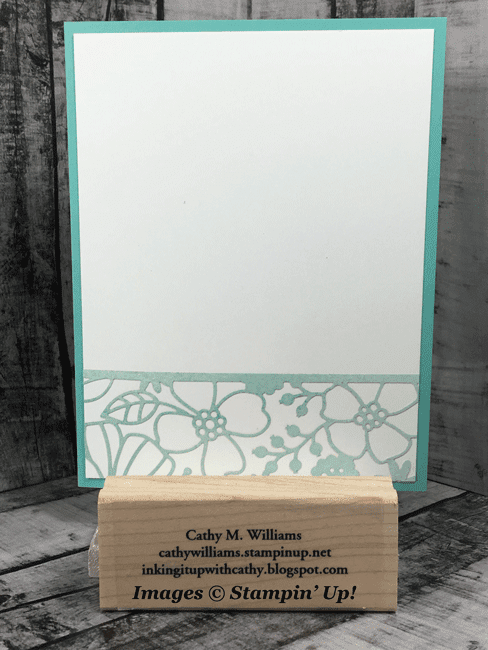 This first card is made by using a portion of the 12"x12" floral piece and using it as a mask while spritzing it with an alcohol & reinker mixture. 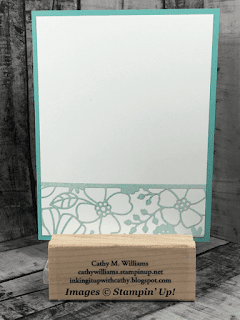 Check out the video to see the whole process as well as how to attach the paper to the inside of the card below. Cathy, this is excellent in every way---presentation, use of products, and beauty. Thank you for such great ideas!